For most, the holidays bring back wonderful warm fuzzy memories of days gone by. We think about our loved ones and the joy they have brought us over the years. Here in the midwest, the holiday season ushers in a cool chill to the air and a soft white blanket that brings a hush to the lush green landscape. It's time to kick back and enjoy this time of year with family and friends, because the decorating process does not need to take center stage. Put all of your Christmas lights on a timer. It's like a little elf lives in your house and crawls in the most of awful space to plug in your lights, because we all know the outlet in is never conveniently within reach after the tree is in place. It's a wonderful feeling to come home with all the Christmas lights aglow. Decorations do not need to be a chore. Do you need a center piece for the coffee table? Purchase a wreath and place your favorite glass bowl in the center. It's perfect for filling with candies or decorative balls. 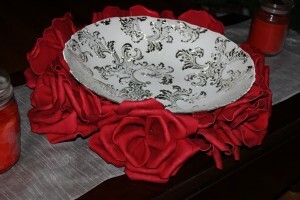 I used red rose wreath and silver accent bowl. I also purchased a beaded table runner to place underneath the wreath and bowl. 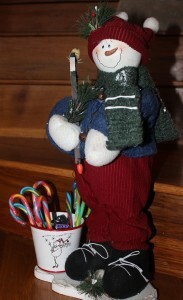 Candy canes are time honored tradition in my home. There are so many flavored candy canes on the market from which to choose. There's sweet tart, jolly rancher, chocolate mint, starburst, life savers, and of course the old time original peppermint. Kids and adults alike love the brightly colored seasonal candy. My snowman has been handing out candy c anes for over a decade now. The front porch is often neglected when it comes to decorations. Don't leave your doorway barren and uninviting. Pinterest is teaming with ideas a-plenty. 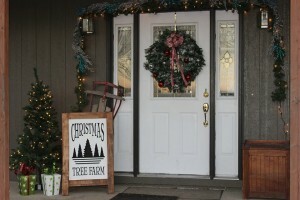 A pre-lit Christmas wreath adds warmth to the door day and night. Plain garland can be bought for $6 a bundle and wrapped with lights. To add interest, place a few inexpensive floral sprigs on the garland. This is much cheaper than pre-made garland from the store and just as good. 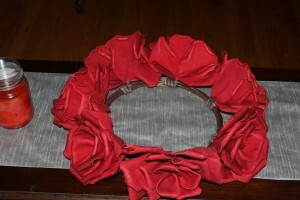 Most pre-made garland, without lights, runs $50-$85. 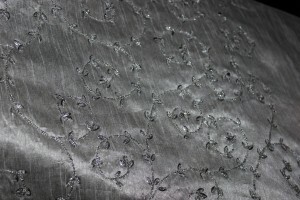 Including the lights, it can be made for $25-$30 depending on how many sprigs you want to add. Hobby Lobby is a good place to pick up seasonal springs and ornaments, since they are 1/2 off this time of year. This year I splurged on a sign and then added an inexpensive 4' pre-lit Christmas tree, some inexpensive metal glitter gift boxes, and an old un-usable sled. Let your creativity be your guide. Have fun and incorporate your family traditions into your decorations. May your Christmas holiday be filled with the warmth and love of family and friends.